The writer’s group I’m in, The Deadline Junkies, currently has an opening. So if you live in the Los Angeles area and can commit to showing up every Tuesday evening you might consider applying to become a member. There are about 15 writers in the group. Each week three writers present about 25 pages (1/4 of a full length feature). The pages are read by professional actors in a table read fashion. After the pages are read the other writers in the group give notes to the author. It starts promptly at 7:30 and goes until around 10pm every Tuesday night. It’s a great writing tool to hear your material read by quality actors and the notes from the other writers can really help you work your material out. I highly recommend this format so if you can’t join this group you might consider trying to start your own group in your area. A couple of important issues. 1. This group is not for beginners. Everyone is invited to attend (for free) but before you can present material you must go through the submission process and get accepted into the group. 2. You must live in the Los Angeles area (obviously). The group is very active and each member is expected to attend every single Tuesday night, not just the nights that their material is presented. So if you can’t commit to being there every Tuesday night this probably isn’t the group for you. 3. The group costs $30 / month. The fee is used to pay for the theater where the group meets. 4. 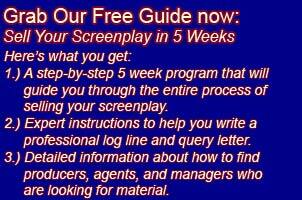 Each writer presents roughly 25 pages every 4-5 weeks. If you can’t commit to writing at least that much this probably isn’t the group for you. 5. The group is geared towards feature writing comedy. Writers do present other types of material from time to time but if your focus isn’t feature writing comedy this probably isn’t the group for you. To learn more about the group and to find out how to apply for membership please go to the Deadline Junkies website directly: http://www.writersgrouplosangeles.com/. Please do not bombard me with questions about the group. I’m not the leader of the group nor do I have any say in who gets accepted. The procedure for applying to the group is is laid out here: http://www.writersgrouplosangeles.com/become-a-member.html.